Mobile Cranes – Konecranes, Inc. Many crane configurations can be considered mobile, though there are different degrees and kinds of mobility. Tower cranes, for example, which are also a variety of jib crane, are not mobile while in action (they are mounted on 400,000 pound concrete slabs), but when a tower crane project is finished, the tower crane is disassembled and transported to its next assignment. In this way, a tower crane is more mobile than a gantry crane that never leaves a factory floor. However, within a factory floor, a gantry crane can be fitted with wheels or casters, which may allow movement around a factory enclosure. 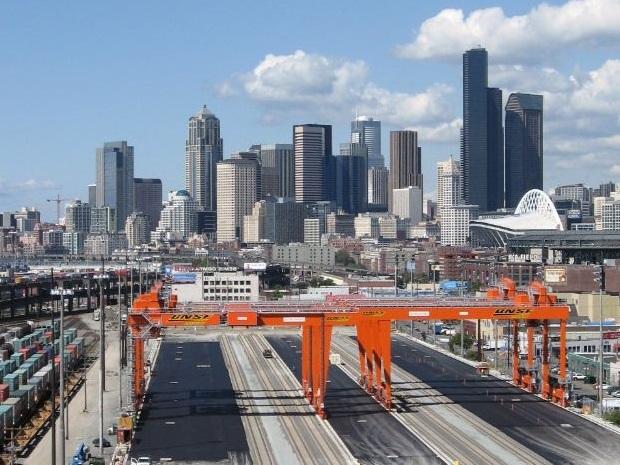 In this way, gantry cranes are more mobile than bridge cranes, which are usually permanently affixed to structural elements in a factory or warehouse, though they can also be used for outdoor projects like road construction and shipyard loading. The distinctions that separate crane configurations categories are fluid; most cranes belong to more than one category. Most of them are considered mobile in some way, though there are some cranes whose defining characteristic is mobility. There are many mobile cranes that travel by land and are able to drive or be transported by other vehicles on roads or rough terrain. Highway mobile cranes are usually large trucks that can only move very slowly when holding a load in order to prevent tipping. Rough terrain mobile cranes are generally smaller and perform like four-wheel drive construction vehicles; they can feature treads, tracks or very large wheels as their means of transport. Depending on that means, they can reach worksites on their own, or they can be transported on large trucks. Some mobile cranes are intended for use over or on bodies of water. Water cranes can be mounted on boats for use by fishermen or marine studies applications. Other very large water-based mobile cranes can be used for the unloading of ships under unusual circumstances. For example, after a storm or the accidental grounding of a vessel, it may be necessary to remove cargo in order to prevent environmental degradation. Water cranes can also be used in the building of dams, bridges and in other construction projects that involve very large volumes of water. Mobile cranes are an indispensable industrial utility; they make the movement of materials possible under harsh or unusual circumstances. Mobile Cranes Mobile cranes are materials movement tools that are characterized by their ability to move or be moved within an industrial facility or around an outdoor operation. A mobile crane is any industrial crane that allows for the movement of objects in multiple areas.